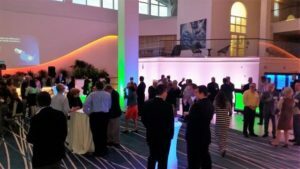 The following list of some of the most common kinds of corporate events is a continuation of “The Most Common Kinds of Corporate Events, Part 1.” If you are gearing up to plan for your next corporate event, contact Big Wave Events, a company that is known for excelling at event production in NYC. We can help you with any event you want—from concept to finish! Many companies like to hold golf events when the weather is nice. Golfing together helps build relationships between teams in an enjoyable and relaxing environment. Celebrate a business or company milestone like a grand opening or a major anniversary. You may invite only company employees or expand your guest list to include clients, vendors, and community dignitaries. A company may hold a launch party to spread the news about the product’s release among customers and the media. The kind of industry often dictates how extensive a product launch might be.